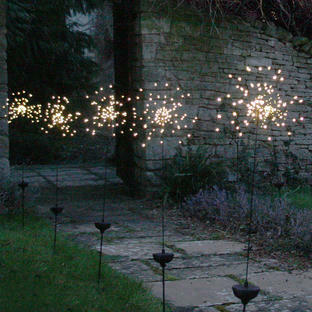 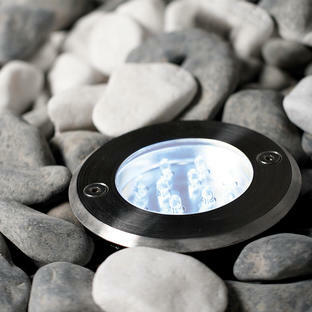 Recessed LED spots for covered outdoor areas. 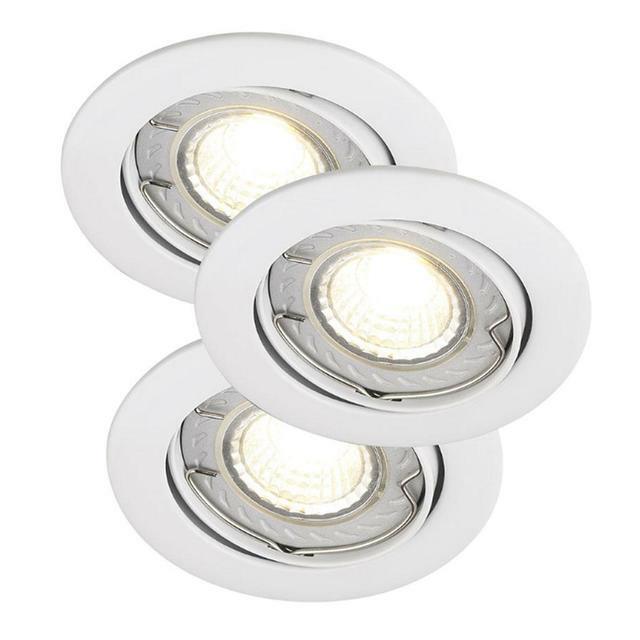 These LED spotlights are adjustable and suitable for use in a covered area, they are available with either a brushed stainless steel or white finish. Each LED bulb included emits 200 lumens of light each with a candela value (amount of brightness per angle) of 460. 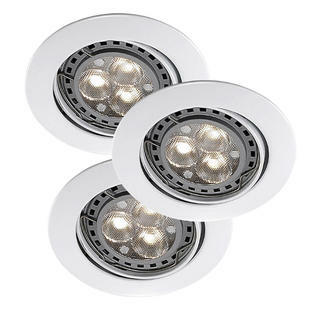 If you would like higher intensity of light, the Hi-Power Recess Outdoor Spotlights are available. 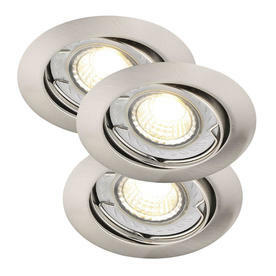 These spotlights are suitable for use with a dimmer.